Magpul had a lot of great releases this year, so they only had some small sling mount accessories put out at SHOT Show, however they had quite the display showing off their AK Products. Krebs Custom Guns provided one of their VEPR based KV-13A Rifles to show off the Magpul MOE AK Pistol Grip and 30 Round AK PMAG. 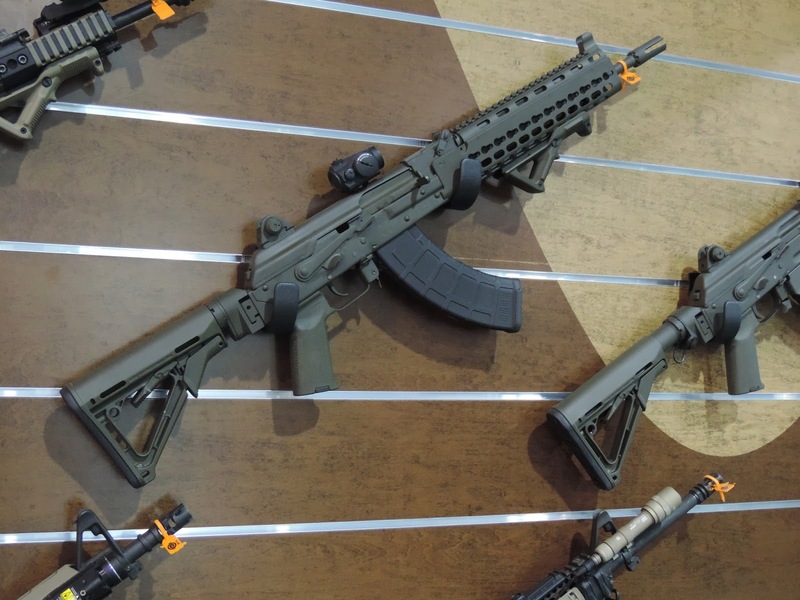 We are still waiting for the magazine start shipping out which should come any day now, but this was one of the more impressive AK rifles to be seen at SHOT Show this year. Luckily the photo turned out as a half way decent representation as well.